Eager to tell her story, she takes a minute before getting into it, tilting her head lost in thoughts. She was married off at 12 years of age after surviving death; allegedly at her stepmother’s hands who apparently pounded the glass and mixed it in the food, she gave Nabatanzi and her four siblings. Fortunately, she was away unlike her siblings who ate the food and died on the spot. Rivers State Givernor, Nyesom Wike, has called on prominent indigenes and Nigerians to stop de-marketing the state. Speaking during the commissioning of the Port Harcourt International Airport Terminal on Thursday by President Muhammadu Buhari, Wike said that it was in the best interest of the entire South-South region, for investments to flow into Rivers State. “I urge all of us who are from Rivers State and others from Nigeria to market Rivers State and not de-market it. Crown Prince Mohammed bin Salman (left) has faced claims he may have been behind the death of Jamal Khashoggi (inset) who went missing after entering the Saudi consulate in Istanbul. Saudi Arabia first denied any role in the writer's disappearance before blaming his October 2 death on a botched attempt to return him to the kingdom. As the Crown Prince battles to contain the fallout from the killing, Saudi prosecutors said today that the murder was preplanned and suspects were being interrogated. 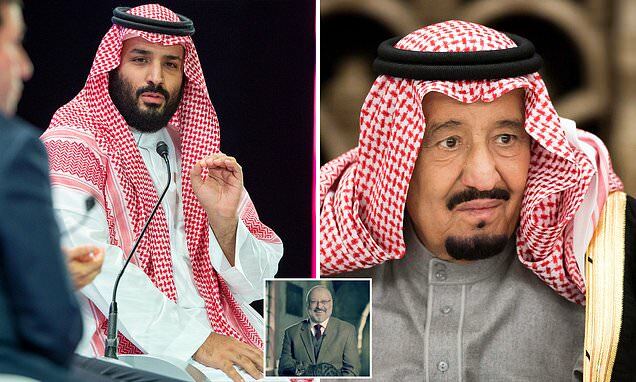 According to Colonel Brian Lees, once the UK's defence attaché to Saudi Arabia and Yemen, the Crown Prince's days as de facto ruler are numbered and his father, King Salman (right), may now look to replace him following his disastrous handling of the case. The opposing political leaders sat together today during the commissioning of the new international terminal of the Port Harcourt airport. Love can become a fertile ground for the emergence of hate. When the intensity and intimacy of love turn sour, hate may be generated. In these circumstances, hate serves as a channel of communication when other paths are blocked, and it functions to preserve the powerful closeness of the relationship, in which both connection and separation are impossible. It's no longer news that the relationship between Nollywood actress, Juliet Ibrahim and rapper, Iceberg Slim has hit the rocks. But the ex-lovers have been throwing subliminals at each other on social media. Last night, Iceberg shared a post that reads, 'when a toxic person can no longer control you, they’ll try to control how others see you. The misinformation will feel unfair but stay above it, trusting that other people will see the truth just like you did'. Lady Loses 2 Kids In Fire Outbreak After Sneaking Out To Meet Boyfriend. A fire tragedy which happened at a residential building in Cross River state has claimed the lives of twin brothers, according to report. It was gathered that the fire outbreak occurred after the mother of twins, simply identified as Mrs. Offiong, allegedly sneaked out of the house by 1:00am to meet her boyfriend last Sunday at the Njahasang area in Calabar Municipal local government area of the state. It was scooped that the twins, aged 5 were burnt by a fire which resulted from an overburnt candlestick while asleep inside their house when their mother went out to meet her lover. The Senator representing Rivers West, Osinakachukwu Ideozu, has defected from the Peoples Democratic Party (PDP) to the All Progressives Congress (APC ). Majority Leader of the Senate , Ahmed Lawan, announced Osinakachukwu’ s defection at plenary on Wednesday . Lawan, who was moving a motion for the adjournment of plenary till Nov. 6 , welcomed and congratulated him for joining the majority party . With this , the three senators from Rivers , a PDP controlled state, are now members of the APC. A Canadian rapper has died after falling from the wing of an aeroplane while filming a daring stunt for a new music video. Jon James McMurray, 34, plunged to his death in British Columbia on Saturday. The rapper, who goes by Jon James, was performing the stunt on the wing of the small Cessna when the plane suddenly went into a downward spiral. He was wearing a parachute at the time but didn't have time to pull it because he gripped onto the wing of the plane for too long as it spiralled down. By the time he let go the plane was already too close to the ground and Jon plummeted into the ground. The four-time Grammy-winning singer-songwriter is suing to obtain a court order barring Minaj from releasing "Sorry" again, per a TMZ report. Chapman is also requesting money. Nicki's allegedly used 'half of the lyrics and vocal melody' of 1988 hit to make her track Sorry, according to the lawsuit. And despite stripping the song off her new album Queen, Sorry was still played on the radio according to the legal filing. 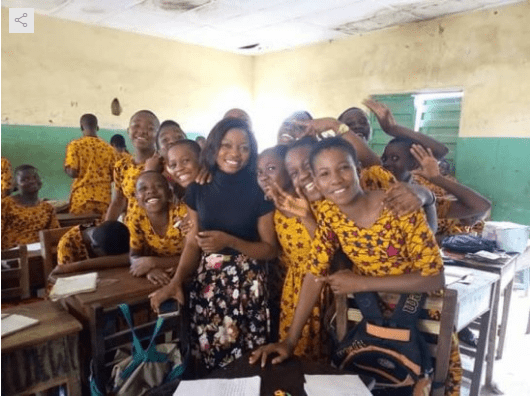 A woman who allegedly disguised as a mad woman and sells used sanitary pads to suspected ritualists – was nabbed by residents after suspecting her movements. According to Henry Chidon, a Facebook user from Enugu state who shared the video, the woman had been living in their street for many years as the residents thought she’s really mad and didn’t know what she was doing until she was seen picking the awkward items on Sunday night. She wrote: 'You can choose between REACTING to people or situations or ACTING DELIBERATELY. The reaction is triggered and DETERMINED by others/their behaviour towards us, it’s an impulse, a need to respond in the way we were approached - often aggressively or negatively and it’s sort of a mechanism of defence. But before you REACT you need to ask yourself “Is this action reflecting my true nature and who I really am or wish to be?”. 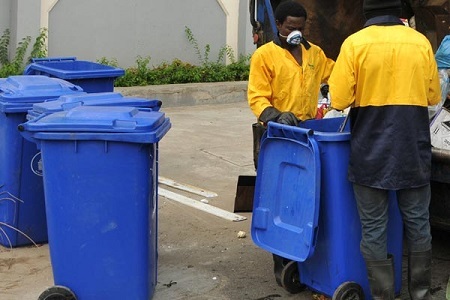 Newsmen report that the government gave the directive during a meeting with the waste managers on Tuesday in Lagos. Four governors of the All Progressives Congress (APC) yesterday defended their integrity after being accused by a pro-Buhari Campaign group of working against the President’s re-election and plotting National Chairman Adams Oshiomhole’s ouster. The Federation of Buhari Support Group yesterday after a solidarity march in support of Oshiomhole at the national secretariat named the governors as Rotimi Akeredolu (Ondo), Nasir El-Rufai (Kaduna), Kayode Fayemi (Ekiti), Ibikunle Amosun (Ogun) and Jibrilla Bindow (Adamawa). In a statement by its Coordinator, Alhaji Ibrahim Sikiru and Publicity Secretary Gbenga Bojuwomi, the group said Akredolu had been busy collecting signatures of governors and party chairmen with the intention to generate a vote of no confidence in Oshiomhole. Mrs. Basira Shonekan, one of the daughters of former Head of Interim National Government (ING), Chief Ernest Shonekan has debunked the rumoured death of her father. In a chat with OkayNG.com representative in faraway Canada, Umar-Shonekan declared that her father is still hale and hearty as at the time of speaking. The Nigerian-born Canadian Naval Accountant further explained that she learnt about her father’s death through a Facebook report which compelled her to make phone calls across to Nigeria to authenticate the incident. Chief Ernest Adegunle Oladeinde Shonekan born on 9 May 1936 in Lagos, Colonial Nigeria has bowed out of the race of life at 82. 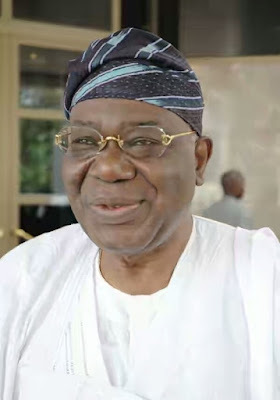 The British-trained Nigerian lawyer, industrialist, politician and traditional chieftain who celebrated his 82nd birthday in May has been a bit slow of late due to age, however, he has managed to attend many national and social functions in spite of old age. He was popularly known as the Interim President, an office he held between 26 August 1993 to 17 November 1993. His First Lady was Mrs. Margaret Shonekan. He was succeeded by late Gen.Sani Abacha in a palace coup. General Sani Abacha became the Head of State after that. 18 National Youth Corps Members Allegedly Die In An Accident At Mowe. 18 Corpers lost their lives this early morning sad. They were 30 passengers, they all lost their lives including the driver. 18 National Youth Corpers and other passengers including the drive didn’t make it. At Mowe town coming from Kaduna. On their way to lag from Kaduna, they were rushed to OSUTH. Eminent Nigerians from all walks of life on Saturday graced the grand finale of the 80th birthday of Alaafin of Oyo, Oba Lamidi Olayiwola Adeyemi III and the book launch held in his honour. President Muhammadu Buhari was represented by the Vice President Yemi Osinbajo, Governor Abiola Ajimobi of Oyo state; former Governor of Akwa Ibom, Senator Godswill Akpabio; Ooni of Ife, Oba Enitan Ogunwusi; a National leader of the All Progressives Congress, Asiwaju Bola Tinubu and Lagos State Governor, Mr. Akinwunmi Ambode were represented by the Speaker of Lagos State House of Assembly, Mudashiru Obasa and Mr Steve Ayorinde respectively. Others were the former President Goodluck Jonathan represented by the gubernatorial candidate of the Peoples Democratic Party (PDP) in Oyo state, Mr. Seyi Makinde; the Olu of Warri, His Majesty, Ogiame Ikenwoli and governorship candidate of the APC in Oyo State, Chief Adebayo Adelabu. A heartbroken Nigerian woman, Didi Horsfall, has taken to social media to narrate her dilemma after the home CCTV caught her housemaid having s3x with her boyfriend and also maltreating her baby. According to the lady, the maid not only maltreated the son but was fond of dropping the baby with the security guards while engaging in s3xual activities with her boyfriend. Embattled former governor of Ekiti state, Ayo Fayose bought food for 150 people detained by the Economic and Financial Crimes Commission, EFCC. Fayose, in his usual characteristics, took his stomach infrastructure to the Economic and Financial Crimes Commission EFCC office in Lagos today when he provided food for over 150 people (detainees and visitors). And according to his media aide, Lere Olayinka, the highly elated detainees jointly sang the National Anthem after their stomachs were adequately serviced. He also secured lawyers for some of the detainees that are in genuine need of legal representation and promised to assist those having challenges in meeting their bail conditions. CCTV images have emerged showing a Saudi intelligence officer dressed in a fake beard and Jamal Khashoggi's clothes and glasses on the day the journalist disappeared. The man was captured on surveillance cameras leaving the Saudi consulate in Istanbul and walking around the city on October 2. He is said to have been part of the 15-man Saudi team wanted for questioning over the death of journalist Khashoggi. The footage is believed to have been taken just hours after the writer was last seen alive entering the embassy. The Ogun State Governor, Ibikunle Amosun, on Monday continued his protest against the outcome of the All Progressives Congress (APC) primaries in his state as he accused the National Chairman of the party, Adams Oshiomhole, of colluding with “a cabal in Lagos” to write fake results which produced Dapo Abiodun as the party’s governorship candidate for the 2019 election. 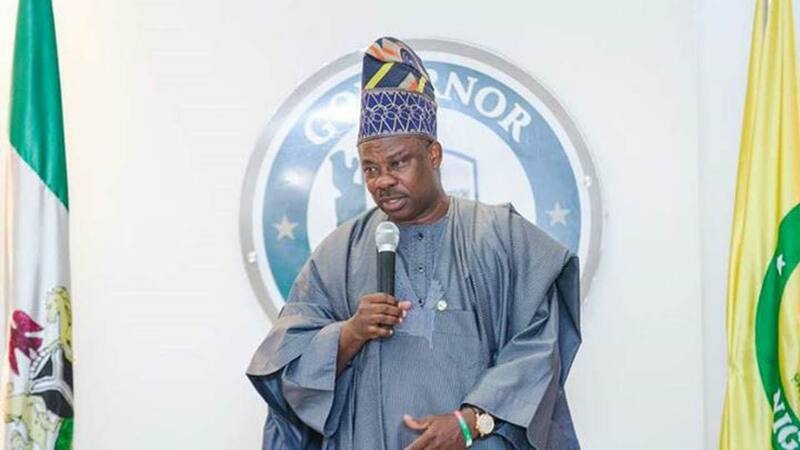 Mr Amosun made the allegation in an interview with journalists shortly after swearing-in the new Chief Judge of the state, Mosunmola Dipeolu, at the governor’s office in Abeokuta, the state capital. He alleged the involvement of former governors Bola Tinubu (Lagos) and Segun Osoba (Ogun) in the alleged fraud, citing their silence on the matter as evidence of their consent to it. Vice President Yemi Osinbajo paid a visit to the legendary Fela Anikulapo Kuti’s ‘New Afrikan shrine’ as the 2018 ‘Felabration wrapped up. While he was there, he prayed for those at the shrine in the presence of Femi Kuti who also publicly explained why he cannot support the Buhari led administration. Femi Kuti who headlined the Felabration event revealed how Vice President Yemi Osinbajo appealed to him to support Buhari’s government, which he refused. A group in the South East has vowed to 'physically deliver' Nnamdi Kanu to the police if he ever enters Nigeria. 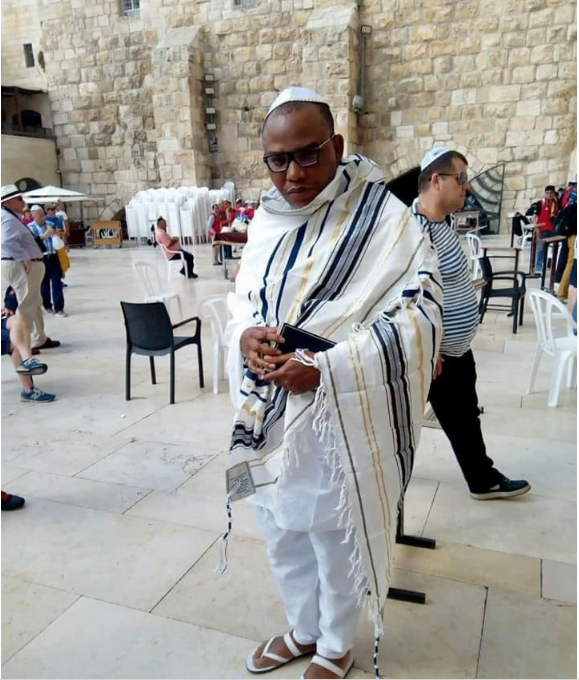 According to a SaharaReporters report, the South-East Renewal Group (SERG) has berated Nnamdi Kanu, leader of the proscribed Indigenous People of Biafra (IPOB), over his position on the 2019 general election. The group said Kanu’s declaration that there will be no election in the South-East, which he claimed to be ‘Biafra territory’, is a joke that should not be taken seriously. On Sunday, Kanu addressed a world press conference via an audio broadcast, 13 months after he vanished following a raid on his home by the military in September 2017. The Ex-wife of the Ooni of Ife, Oba Adeyeye Ogunwusi, Queen Wuraola has broken her silence following news that the Ooni has married a new wife. Queen Wuraola, who has now changed her name to Zainab on her social media account, has congratulated her ex-husband, the Ooni of Ife, Oba Adeyeye Ogunwusi on his wedding to his new wife, Olori Prophetess Naomi. During the Python dance operation, many Igbo families were wrecked - sons were executed point blank, tortured terribly and maimed, then you resurface after some months after being spotted in Israel to mourn the death of "Jack my dog and many others". That was unfair, insensitive and prideful of you. Mazi, I expected you to shed tears at the mention of humans, people's children who followed you at the peril of their lives. I expected you to inform the Igbo that you are fine. I expected you to massively thank them for their loyalty, prayer and support, and not assure them of your return with "hell". Anthony Joshua Boxing Champ also eats Amala and Ewedu, He posted on snapchat yesterday updating his friends about what he eats after we are all in shock. ‘There was a period where mommy woke up and cried 45 days straight, I started keeping a diary,’ he says to their daughter Willow in the clip. The Governor of Washington state, Jay Inslee, has appointed Edirin Okoloko, a Nigerian, as a judge in Snohomish County Superior Court. Edirin Okoloko, who bagged his Bachelor of Law from the University of Benin in Nigeria and received a law degree from the Seattle University School of Law, will now replace Judge George Bowden who is retiring. He has worked for the past 13 years in the Snohomish County Prosecuting Attorney’s Office, where he is a Deputy Prosecuting Attorney working on homicide, sexual assault, child abuse, and elder abuse cases. Her statue which was built in May 20th, 1954, stands at the Ore Oghene Road, Opposite the Oba Market, Benin City, Edo state, and it testifies of her life and deeds while alive. As a market woman, Emotan sold foodstuffs in the Oba market during the reign of Oba Ewuare, the 12th Oba of Benin, around 1440AD. The police have arrested a woman, Hawa Yinusa said to be the leader of a vicious gang specialising in kidnapping and robbery in Nasarawa-Abuja-Plateau axis. Hawa was arrested along with two other suspects, Nura Dahiru and Buhari Hamisu. One other gang member was killed in the exchange of fire with the Inspector General of Police Strike Force. Nollywood actor, IK Ogbonna's wife Sonia who sparked speculations that her marriage is in trouble after dropping his last name from all her social media accounts weeks ago, has appeared to confirm that their union is over. The National Chairman of the All Progressives Congress (APC), Mr Adams Oshiomhole, has hit back at governors of the party that are reported to be moving against him, saying he would not succumb to their antics and impunity. He said contrary to insinuations by some of them and their rallying stakeholders that he was out to liquidate the party, his mission was to galvanise the APC into a disciplined and cohesive platform ready to clinch victory at next year’s general elections. Oshiomhole’s fightback coincides with the intensification of efforts by governors to remove him from office. THISDAY learnt last night that 15 of 21 governors of the party, being coordinated by one of them from the South-west, are collecting signatures to force a National Executive Committee (NEC) meeting that would unseat the national chairman. The senator representing Kaduna Central senatorial district, Comrade Shehu Sani, who resigned his membership from the ruling All Progressives Congress ( APC), told his supporters that in the next two days he would announce the new political party. Sani, who assured his supporters for the show of solidarity over his decision to quit the APC, said he would contest for Kaduna Central senatorial zone in the 2019 general elections. The crisis in the ruling All Progressives Congress (APC), which arose as a fall-out of its recent primary elections, has assumed a new dimension as aggrieved governors elected on the party’s platform have infiltrated the party’s National Working Committee (NWC) leading to an internal revolt against the party’s national chairman, Comrade Adams Oshiomhole. According to Daily Independent’s findings, leading the revolt against Oshiomhole are Governor Abdulaziz Yari of Zamfara State, who is the Chairman of the Nigerian Governors’ Forum (NGF); Governor Rochas Okorocha of Imo State; Nasir el-Rufai of Kaduna State, and Governor Ibikunle Amosun of Ogun State.